TopPets PF-21B features a wireless IR remote controlled receiving system that allows you to program the feeder or trigger feedings with a remote range of 32-39 ft without barriers. You can remotely program portion sizes and feeding frequency so you don’t need to squat to push buttons on the panel in order to program the unit. TopPets PF-21B accepts kibble sizes from 1/4” up to 1/2” diameter and it comes with two blades for small and big kibble. A built-in microphone allows you to record a personal message up to 8 seconds calling your pet to eat. This message will play 3 times. The feeder works with 4 “D” size battery or AC plug with optional DC Power adapter (included). 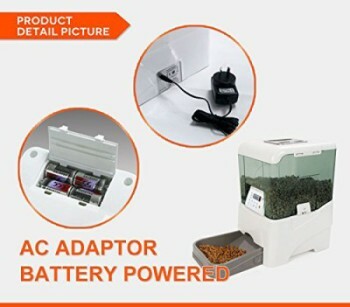 The unit is able to work in conjunction with both, AC power adapter and batteries as a backup so if a power outage occurs, the feeder’s source of power gets automatically transferred to the battery. This switching does not affect the dispensing or the feeding schedule. AC adapters for different countries are available as well. 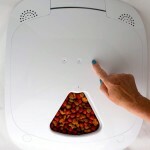 Personalized voice message to call your pet to eat, up to 8 sec., it replays 3 times. Power source 4-D batteries (not included) and AC plug with DC power adapter, included. The dispensing mechanism of TopPets PF-21B consists of a rotating wheel/spinner with rubber fins to make the food drop into the food dish. 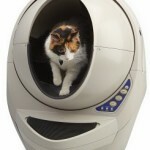 The unit comes with 2 different wheel sizes, for small and big kibble sizes (Measurements of kibble are in centimeters). The feeder comes with the wheel for small kibble installed and you can replace it with the big one if you use a bigger kibble. The small kibble wheel is suitable for cats and small dogs. The unit works with both batteries and AC plug, allowing the feeder to continue operating in case of power outage, without losing the programming. The same if you turn off the feeder, you won’t lose the settings. You can turn off the feeder by pushing the ON/OFF switch on the side of the unit. 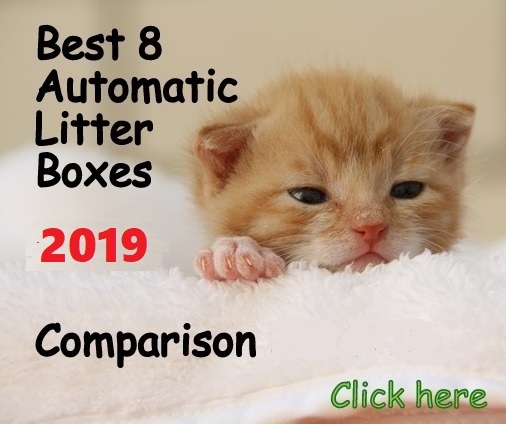 The feeder comes with a wireless infrared remote control that allows you to program the settings or trigger a feed at present time without changing the feeding schedule. You need to program feeding times and amount of food to be dispensed (all meals will have the same portion). The LCD panel will show you a default of 124, being 1 the first feeding and the 24 the default time (military time). 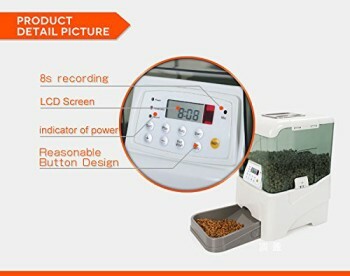 To program the first meal you confirm the number one and then the 24 will start blinking and you need to set the time you want the meal to be dispensed, for example, 08 is 8 am. This first meal programmed will look like “108” (meal number 1 at 8 am). If you want to set the second feed at 10 am, it will look like “210” (meal number 2, at 10 am), etc. up to 5 meals. If you want to feed only 2 times a day, you leave the rest 3 in default time (324, 424, 524). 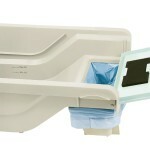 After setting up feeding times you need to program the portion that will be dispensed every time, from ¼ cup to 2 ½ cups. The food drops to the left side of the dish. It may be not good if feeding two cats. The loud beep that precedes the recorded voice may scare some cats. The food close to the dispensing area gets dropped, and the around food not near it sits in its spot, creating a pit in the middle of the hopper so you see a hopper with food, but no food gets dispensed (shaking the feeder helps to keep the food even to keep dispensing). If you don’t want to hear the “beep” or voice recording, you can take it apart and disconnect the speaker. You can cover part of the chute to dispense less food if you need it. 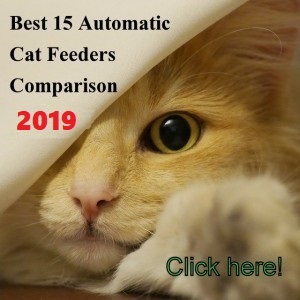 TopPets PF-21B is an improvement over the previous version TopPets Large Automatic Pet Feeder. 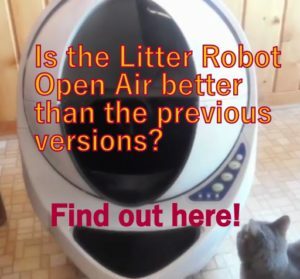 The new design has a different dispensing mechanism, a smaller minimum portion, adjustable spinner to suit the kibble size, a memory that retains programming if turned off, location of batteries and locking lid. TopPets has a reliable timer which you appreciate when it comes to automatic feeders of this price range. The feeder has a protective locking system and a pet-proof chute as well, stopping cats from trying to steal food from the chute. The feeder has some issues that have been described by customers in reviews, such as the mechanism jamming and stopping from dispensing food. 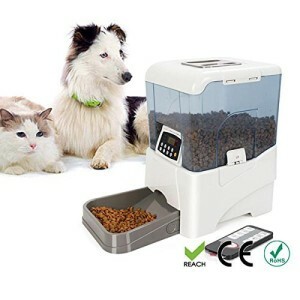 The jamming occurs occasionally but it could happen anytime, making this unit suitable for pet owners that stay home or if you use feeder within 8-10 hours a day or so. I would not suggest using this unit to go out on vacations or used when getaway weekends. The unit needs to be shaken every few days to keep the food level as well. The minimum amount of food is large considering the food intake for a cat and especially if you feed your cat 2 or 3 times a day. 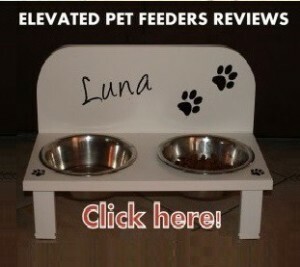 The food portions and the large capacity of the hopper make the feeder more suitable for both, cats and dogs. 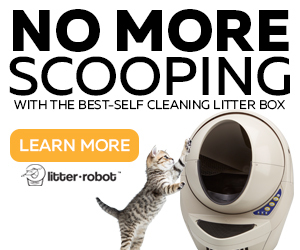 I just bought this feeder after reading through the reviews on this site (very helpful, thanks!). It seems well constructed, and the pieces snap together securely. One of our cats is “food obsessed” to say the least, and he hasn’t been able to pry any food out yet. As noted above we got about 1/3 cup instead of 1/4 cup with Natural Balance kibble, which has 1/4″ diameter discs. Regarding jamming, most of the negative reviews I’ve read seemed to be for larger kibble, for dogs. Nevertheless, we’re going to have someone stop by to check for jams with the manual feed button while we’re away. Thanks for your input ChloeBert! I have been using this dispenser for about 2 years now, and the small portion disc (6 segments) has finally broken. We just refilled the hopper with a new bag of food, but I think our kibble formula changed the size of their pieces just slightly, enough to jam the rotator, and this time it broke. I’ve swapped it out for the second rotator (3 segments), and now our cat is definitely getting over fed, as there is no way to make it give a shorter dispensing time sequence. Twice a day, was working out on the 6 segment disc, but not this 3 segment one. It usually jammed when we filled the hopper to the top, too much weight on the disc. When we went on holidays, we would have someone come and check on the cat, as we couldn’t rely on it. It usually runs well enough for a month or more between refills, but has been know to jam when the food is too high or too low. I’m looking for a replacement disc, but there is nothing in the manual to suggest where I can purchase one, so this may be the death of this dispenser, for the sake of a small plastic part. The battery back up is great, the programming a bit awkward, but it worked fine. Thanks for sharing your experience with this automatic feeder. 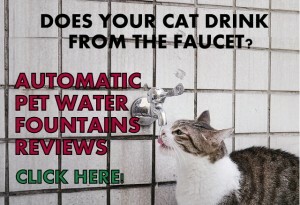 I am sure it will help cat owners make a better decision. This is great products and my dog loves it. The machine calls her and whenever she hears the recording she knows that it feeding time. It’s also great for vacation, we can be gone for a weekend and sometime longer without worrying about whether my dog will be fed or not, I only ask my brother to refill the hopper. My only complain is that the impeller, the one that rotates to dispense the food, keeps breaking and at one point I bought the whole system just to use the impeller from the new unit. I was wondering if those impeller can be bought by themselves? What company do I need to contact to buy the impeller? Hello Benjamin, the impeller is not sold as spare. Hello, I have one of these feeders and it is disappointed that the impelor cannot be bought seperately as both mine are warn out. 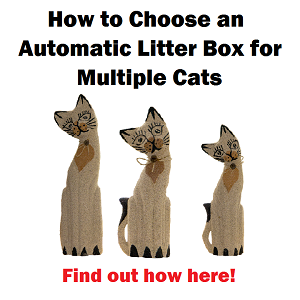 I am going to have to buy a new feeder and cant find where I can get one the same, anyone know. Hello Kerry, there aren’t very many feeders that offer replacement for internal parts. If you want to buy this feeder again you can buy it in Amazon. Hope that helps!